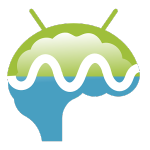 Mindroid Renowned application thanks to which a device with Android can replace a classical mind machine. Its high potential including a wide program library, choice of various sounds and colours and a chance to improve the quality of your life can be fully used up only with quality LED glasses. That’s why we developed special Mindroid Glasses, used by many satisfied customers all around the world. 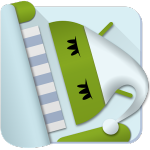 In addition, our Superagent device is based on Mindroid app as well and the Sleep Mask works with Mindroid as well. Sleep as Android One of the best sleeping applications. Helps to fall asleep and wake up, stops all snoring, yawning and sleepless nights. The right choice for those who want to sleep really well and healthy. Our Sleep Mask was developed to support the functions of this app and to add some new possibilities to it. Emet – the Emotional Meter An application designed exclusively for our GSR device, earlier working only on PC. Now, you can observe and learn to control your emotions on your Android as well and enjoy improved design. 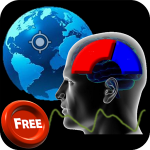 StressLocator An application developed for all the people who want to know and improve their condition. Helps to fight stress, provides breathing and meditative exercises, measures HRV and offering various graphics. The best results are reached while measuring with one of supported sensors, our oximeter (which measures blood oxygenation as well) or ear sensor, but newly the application can be used with all BLE equipped devices measuring HR and RR intervals.